In the weekend, june 8-9th 2013, Instructor at PTCC Silkeborg, Peter Gyde Hansen, has partially passed his exams as a Qigong Instructor. At the Summercamp 2013 he will take his exams in the final 2 Qigong series. The Instructors Education has spanned 2 1/2 years over 16 weekends and with regular, partial exams. The education as a basic Qigong Instructor involves 9 different Qigong series, first aid, teaching technique and -pedagogics. You can read more about the Instructors Education here. Peter is already a level 3 (of 9) Instructor of Practical Tai Chi Chuan and has taught Qigong in Silkeborg since January 2012. 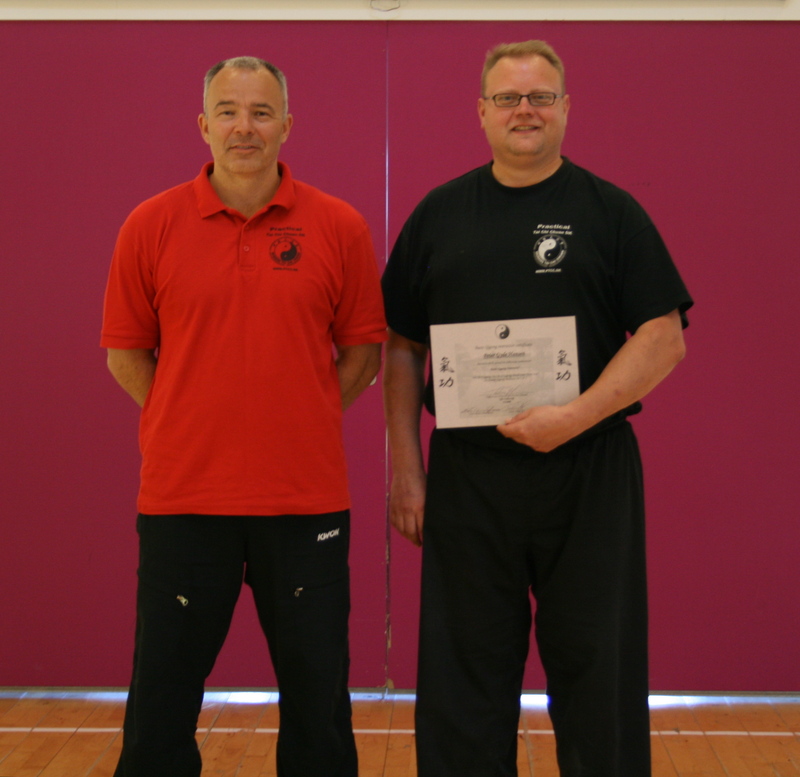 At PTCC Vejle, Peter has acted as both Assistant Instructor and have had his own classes of Practical Tai Chi Chuan. From August 2013 Peter will be teaching both Practical Tai Chi Chuan and Qigong in Silkeborg and will be kickstarting the season with a demonstration at Silkeborg Square on saturday the 10th of August, at which you can get a taste of what you can learn at his classes. On Sunday the 11th of August ther will be 2 free workshops in Silkeborg, where you can try it all out. There will be 1 hour with Qigong and 1 hour of Practical Tai Chi Chuan and there will be more information on these later. Sign up for our Newsletter in the column to the right on this page to get updated on current events in the Organisation.